Above: Pier B in Key West. The first regularly-scheduled, modern cruise ship to call at Key West was Norwegian Cruise Line's Sunward in 1969. 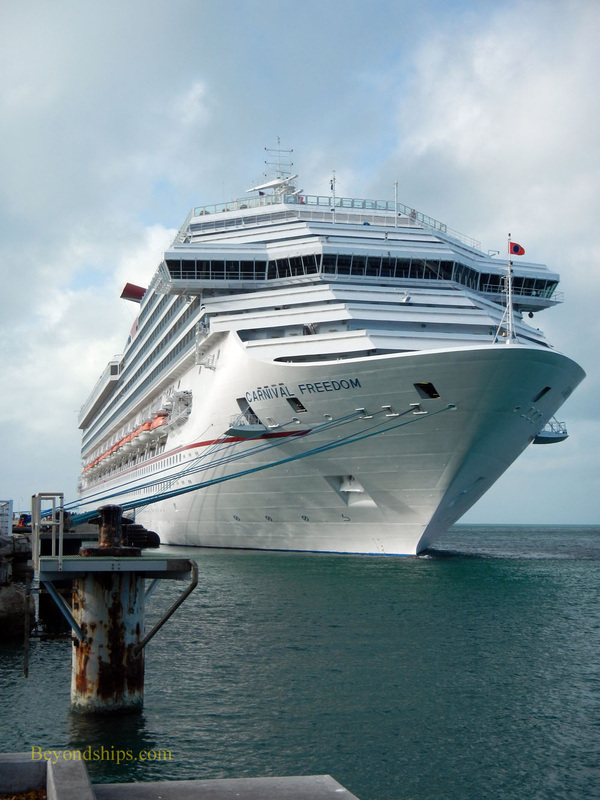 Since then, the number of cruise ship passengers visiting Key West has grown to approximately 800,000 a year. 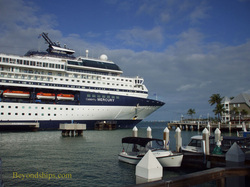 Cruise ships dock at three places in Key West. Pier B is a privately-owned facility at the marina in front of the Westin Resort. From here, it is a short walk to Duval Street and the heart of Old Town Key West. Nearby is the Mallory Square Dock, which as the name indicates is at Mallory Square. Once again, it is only a few steps from the ship to the heart of town. This facility is usually used by smaller cruise ships. The Navy Mole Pier, also called the Outer Mole Pier, was built by the U.S. Navy to accommodate several modern warships at a time. 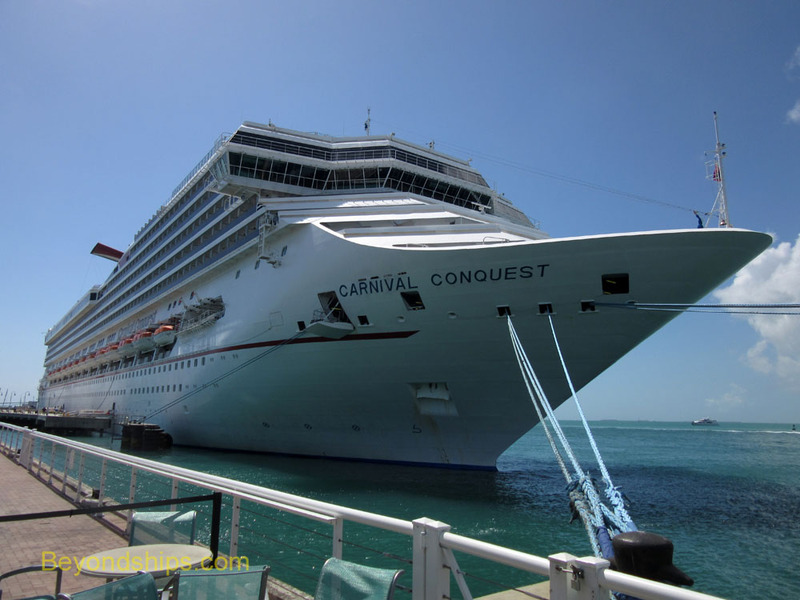 Thus, it can handle relatively large cruise ships. However, very large ships cannot access Key West due to the shallowness of the shipping channel. 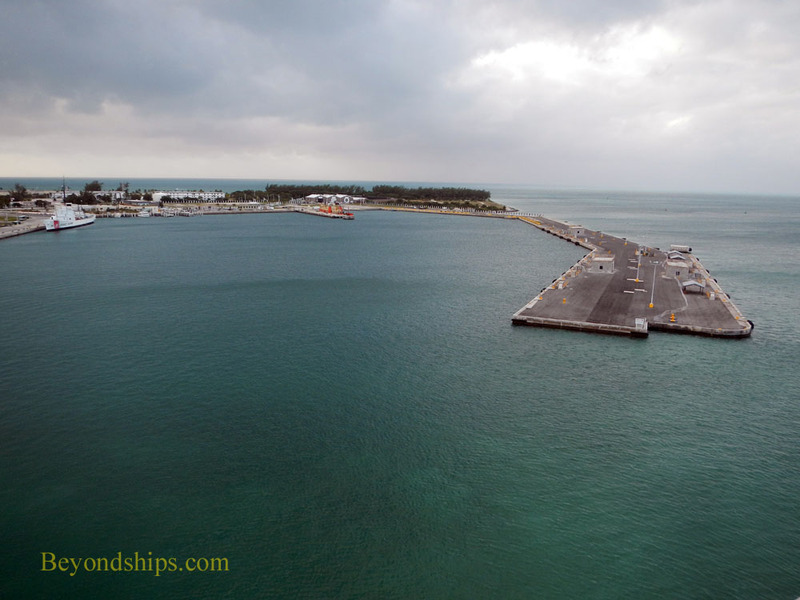 This pier is still owned by the Navy but cruise ship operations are managed by the City of Key West. Because access to the pier is through the Navy base, passengers must take a five-minute shuttle ride into town. 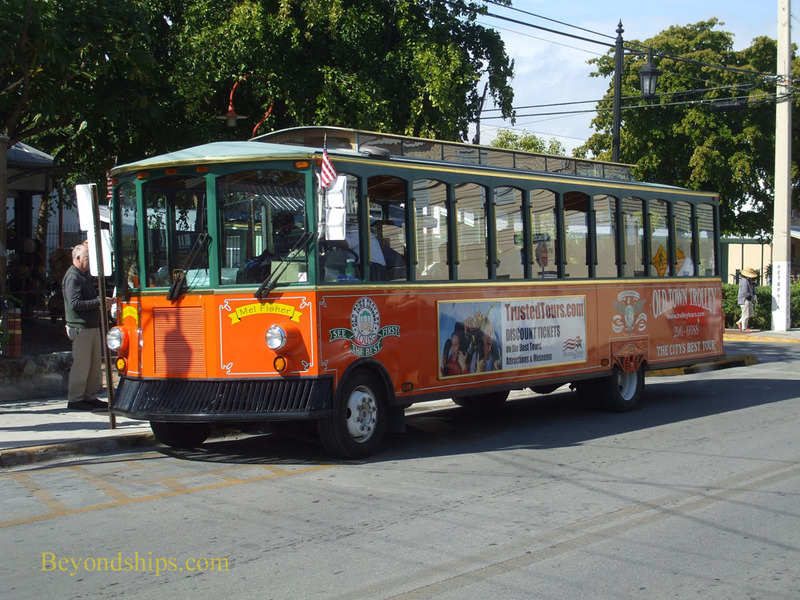 Getting around in Key West is very easy. It is a small island and most of what visitors come to see is concentrated in Old Town. Consequently, many visitors simply walk. However, there are all sorts of vehicles on the streets including pedal-taxis, bicycles, scooters and golf carts. Sightseeing tours are readily available. 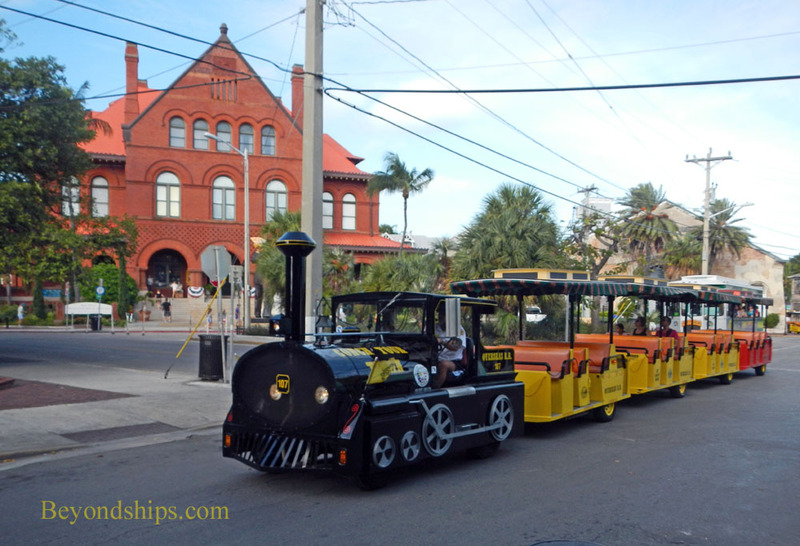 Two of the best known are the Old Town Trolley and the Conch Train. Above: The Navy Mole Pier. Above: The Old Town Trolley. Below: The Conch Tour Train. Left: Carnival Freedom at Pier B. Above: Disney Wonder at the Navy Mole Pier. 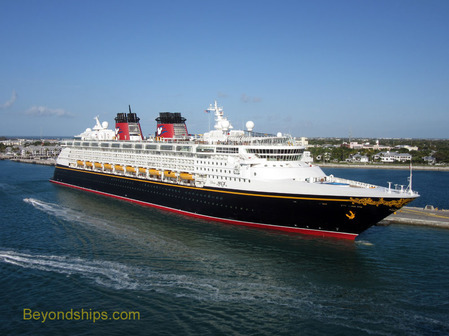 (See a photo essay and video of Disney Wonder in Key West). 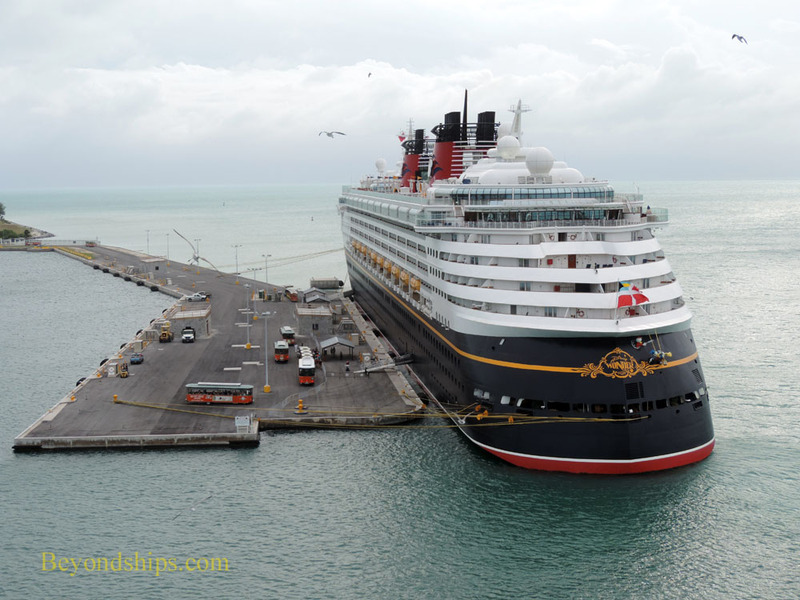 Below: Sister ship Disney Magic at the same pier. Left: Carnival Conquest at Pier B. 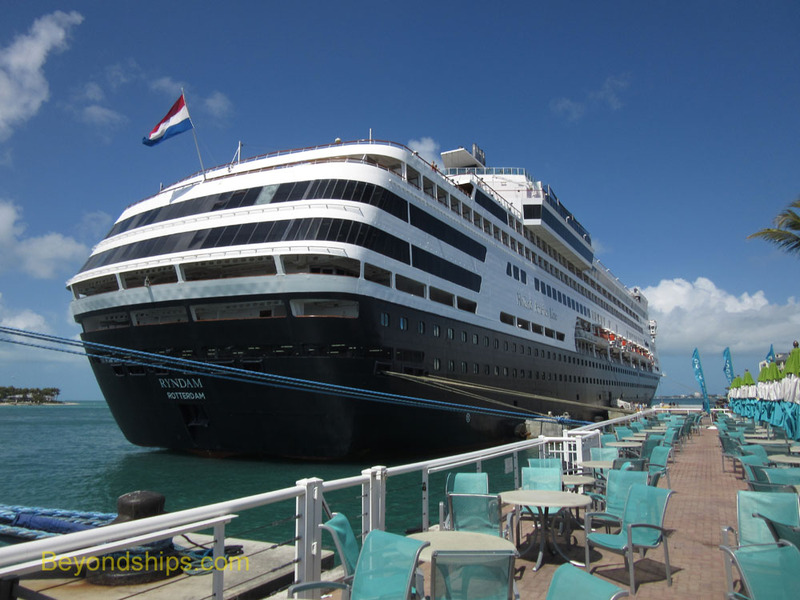 Below: Ryndam at the Mallory Square Pier.